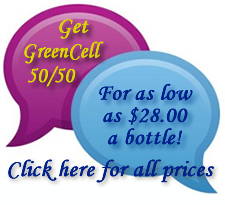 Ounce for ounce, GreenCell 50/50 tablets provide much more high quality nutrition for your body than any other whole food available. --Dr. Jeff Bennert PhD., C.T.N. 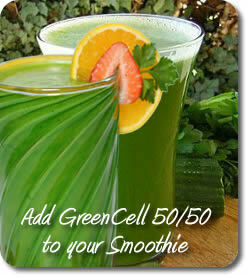 Health minded people know how important green foods are for maintaining their health. We believe Spirulina and Chlorella to be the best of the best! Spirulina has been shown to support the immune system and provide anti-aging benefits by preventing the oxidative damage that ages us. Cracked Cell Chlorella contains the highest amount of chlorophyll in any plant known, the Superfood that's nearly identical to human red blood cells. Studies reveal that Chlorella stimulates the creation, activation, and release your body's natural stem cells. It's a superior food for people of all ages!